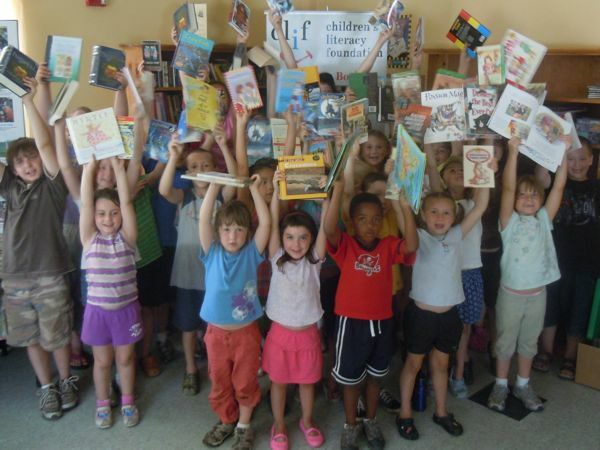 The Children’s Literacy Foundation keeps working year-round to bring books to at-risk children in NH and VT. The program is a gift to our communities. It’s CLiF’s Summer Readers Season! Remember, when you were a kid, the pleasure of diving into a great book on a lazy summer day? CLiF is spreading that joy through almost 50 Summer Readers presentations to 3,300 low-income, at-risk, and rural readers throughout NH and VT. At each event, an author or storyteller talks with children about the power and joy of books and reading, highlights new titles, shares inspiring stories, and then each child chooses two new books to keep. Thanks so much for getting in in early! Thank you again for being flexible with this crazy schedule!